We all love to wear great-looking clothes and to sleep in soft, clean linen – but making sure that our wardrobes are full of clean and well-ironed clothes and that our laundry baskets are regularly emptied is often easier said than done! Many of us simply don’t have the time available to make sure that all of our laundry is regularly cleaned, dried and ironed thoroughly to look its best – and it can even be a struggle to find the best products and tactics to use in order to get the nicest look and the freshest scents. 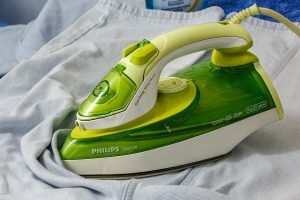 Washing laundry and ironing your clothes needn’t be a chore, and if you are unable to attend to your washing and ironing as thoroughly as you’d like to, help is always at hand. A professional cleaner and ironing expert will always be happy to undertake any laundry-related tasks and regular jobs that you simply can’t fit into your daily schedule. Whether you work long hours, are on the night shift, or are struggling to dedicate enough time to your family and other affairs, Sam’s Cleaning and Ironing Services can help you find a reliable and helpful laundry expert to ensure that your linen and clothing always comes out looking great and smelling fresh. Getting the best out of your laundry and your wardrobe can be tricky – it can take years of trial and error to find a top-quality brand of cleaning product and to get the hang of techniques that produce the best results. Washing and ironing is also often one of the most painstaking household jobs available – especially if you need to take care of laundry for the whole family! A professional cleaner from our agency will be able to take on the task of ensuring that all your clothes and linen are fresh, clean and regularly ready to wear. How much time could you save in your week if you didn’t have to fuss with laundry and ironing? However much it may be, it’s time that can certainly be spent elsewhere in your home or working life! Have our professionals take the ironing and laundry off you! Our cleaning, ironing and laundry professionals are fully vetted and are all passionate, trustworthy staff who are looking for regular employment and the opportunity to help makes homes and wardrobes sparkle. Our team really know the insider secrets on getting the best out of your laundry – and what’s more, they’ll attend to your washing as regularly as you need them to, bringing you fantastic results each and every time without you ever having to raise a finger – excellent news! For more information on our services, our team and the talented cleaning staff we promote, why not take a closer look at our website or contact us directly on 07712 227517? If you have a detailed query or would prefer to get in touch in writing, please fill out our web form and we will be back in touch with you as soon as possible. Fancy taking the night off from washing and ironing? Give Sam’s Cleaning and Ironing Services a call today!